FANTASTIC PRIVATE WATER VIEW...last building in complex on pond! 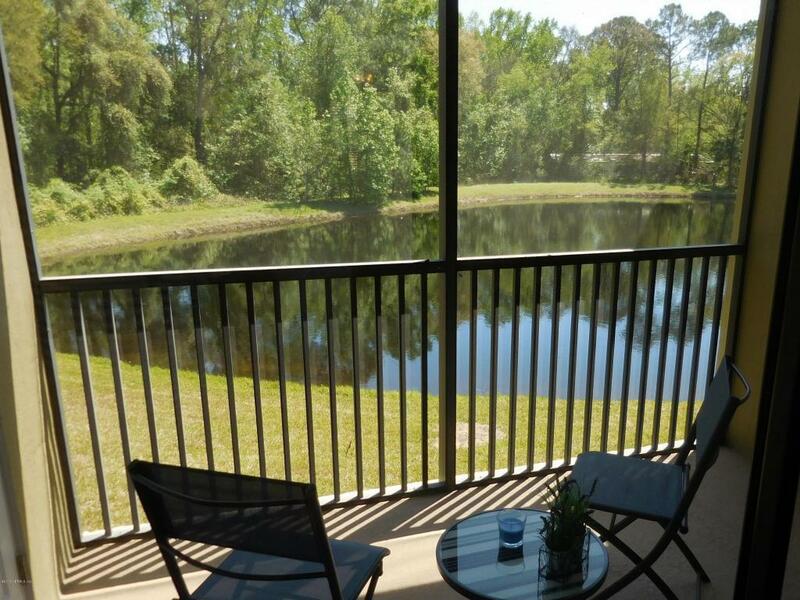 St. Johns County's premiere neighborhood, Palencia offers all residents access to all four community pools, state-of-the-art fitness center, 10 Har-tru tennis courts, various nature trails and a boardwalk. Elementary School, community pool, jacuzzi, restaurants and small businesses all walking distance of condo. This turn-key Palencia condominium features New Paint, open floor plan, granite counter tops, back lanai, dual vanity, walk-in closet, french doors, newer HVAC and side by side GE refrigerator. There are 4 fans and updated lighting. Upgraded carpet was installed originally and hardly lived in.The Avila Master Association fees cover all common areas within the Avila gates. This includes, landscaping, pool, security gate, trash removal, water and sewer and basic cable and internet The fee is $725 per quarter. The El Jardin Condo Association fees cover insurance and maintenance of the condo building including reserves for paint and roofing. The owner is responsible for the drywall surface (and bare floor surface) inward as well as any plumbing, electric, HVAC or other systems servicing the unit exclusively. The fee is $305 per quarter per the Association.